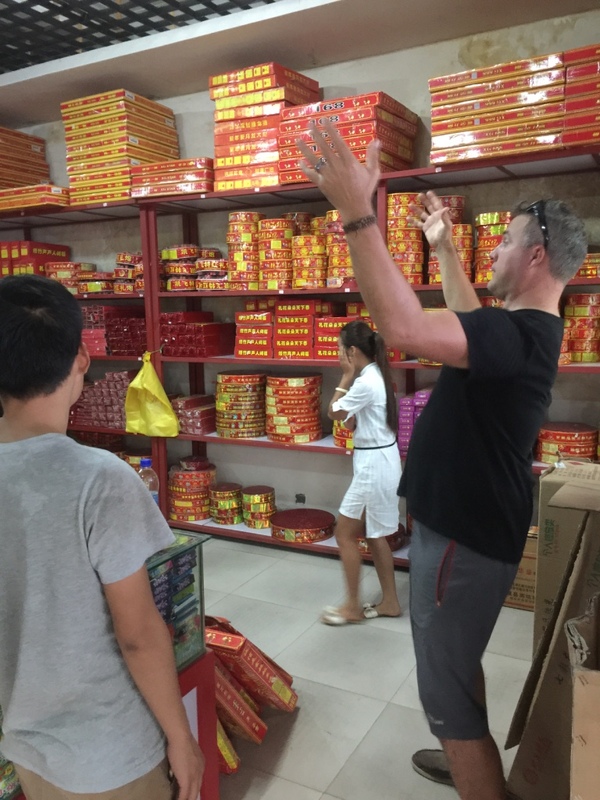 Luke, in the process of buying the second batch of fireworks. Look at that shop attendant with her hand to her face. She did that the whole time.